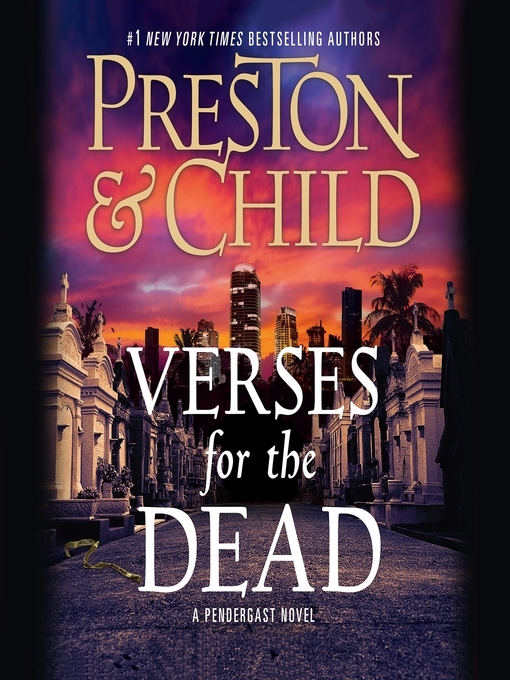 FBI SPECIAL AGENT PENDERGAST MUST CONFRONT A STRANGE, OTHERWORLDLY CIRCUMSTANCE-A NEW PARTNERSHIP-IN THE LATEST ENTRY IN PRESTON & CHILD'S #1 BESTSELLING SERIES. After an overhaul of leadership at the FBI's New York office, Special Agent A. X. L. Pendergast is forced to accept an unthinkable condition of continued employment-he must work with a partner. Pendergast and his new teammate, junoior FBI agent Coldmoon, are assigned the case of a devious new killer whose killing spree spans the countryside, and whose crimes are distinguished by a mysterious M.O. Letters left at seemingly unrelated gravesites in the city of Miami. That the connection between these old deaths defies easy explanation is the least of Pendergast's worries. As Aloysius digs deeper, he soon realizes there may be more to the killer-and Pendergast's new partner-than meets the eye.